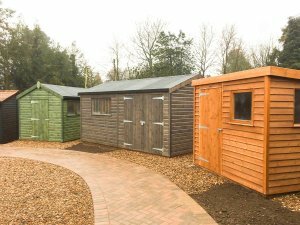 To get a good feel for the quality of our buildings, and to get some good first-hand knowledge from our sales staff, we always suggest that you visit your closest site if you can. 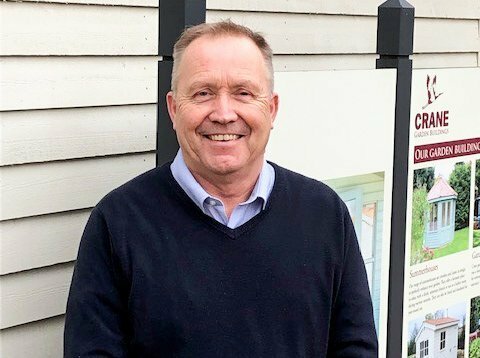 If you come and visit us at Cranleigh Notcutts, Lee, our sales consultant, will be more than happy to help you in your perusal of our buildings, and will be able to help you with details like the electrics, building drawings or any base work that you may need. Crane Garden Buildings at Notcutts Garden Centre Cranleigh, is situated off the Guildford Road, just a stone’s throw from the characterful and self-proclaimed largest village in England. 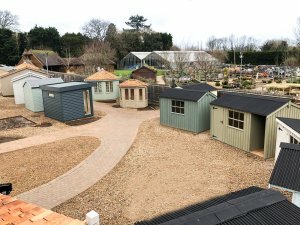 With a collection of our hand-crafted buildings on display, you can browse through our Garden Sheds, Workshops, Summerhouses, Garden Studios, Greenhouses and Garden Rooms. 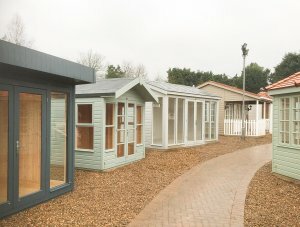 In order to get a better understanding of the high quality of our buildings, we warmly invite customers to visit their nearest show centre, where we can speak directly with you and you can see the buildings for yourself. Being situated on the Notcutts Garden Centre, we encourage you to make a day of your visit by pottering around the centre and maybe visiting the onsite restaurant to indulge in a Deluxe Afternoon Tea. Alternatively, you could even make a weekend out of your visit, with the Surrey Hills Area of Outstanding Natural Beauty a mere 4 miles away. For any keen arborists or those who love spending time amongst the outdoors, the National Trust Winkworth Arboretum is only 6 miles away too. With an abundance of local walks, rugged countryside and charming age-old hamlets, you’ll want to pack your walking shoes! Come and visit us for a revitalising jaunt in the English countryside. Just off the Guildford Road in Cranleigh, Surrey. 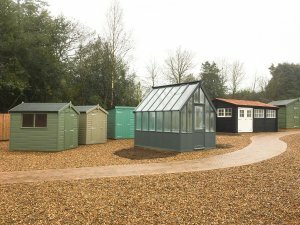 This sleek, quality Garden Studio was recently installed for a customer based in Chelsfield, Kent. Designed and hand-built at our Norfolk studio using only the finest FSC® certified Scandinavian Redwood timber, the building was chosen by the customer from our range of stylish Garden Studios to be the perfect outdoor lounge and relaxation area overlooking their ornamental garden pond. 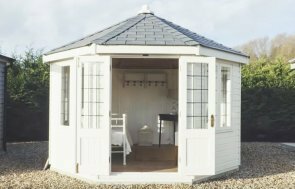 As with all of our high-quality, luxury garden buildings, the studio was designed and hand-built at our Norfolk factory before being delivered and assembled by our installation experts.